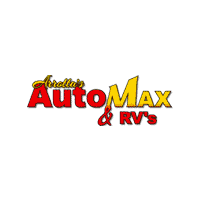 If you’re on the hunt for a great deal on a used sedan around Spokane Valley, WA or Coeur D’Alene, ID, you’ll want to head over to Arrotta's Automax & RV in Spokane, WA. Here, we’re proud to offer 49 used sedans for sale. From classic used versions of the Chevy Cruze to the Ford Fusion, our vast inventory of used sedans will surely please the palate of any Moses Lake, WA driver. Explore our inventory of used sedans here, and when you’re ready, apply for financing today. This 2014 FORD FUSION SE HYBRID 2.0L FWD SEDAN will have plenty of room to safely transport your kids to the next ballgame or family outing. If you are looking for a tough long lasting vehicle, this 2014 Ford Fusion is a great option for you. The speed and passing capabilities of this vehicle will impress. This Ford Fusion sips fuel. The vehicle will stick to the ground on the sharpest of turns. With exceptional handling, you will enjoy every curve of your favorite roads. The vehicle is an amazing performer and is sure to turn heads where you go. Has plenty of room for the whole family! That makes this vehicle perfect for the long summer road trips. This unit has amazing acceleration and passing capabilities. Enjoy your driving more! This is one of the most exciting vehicles to drive in its class. This 2014 Ford Fusion is designed to handle any icy road condition that Mother Nature can throw at you. Your passengers will feel safe with stable braking and handling on all road conditions. This Ford Fusion is as tough as they come. This vehicle comes standard with numerous top of the line safety features. With having reputation for being one of the most dependable vehicles on the road, this mid-size car won't let you down. This Ford Fusion is a versatile vehicle. The Fusion has a 2.0 liter 4 Cylinder Engine high output engine. This model has an automatic transmission. Front wheel drive on this vehicle gives you better traction and better fuel economy. Save gas and help the environment with the gas/electric hybrid drive system on this 2014 Ford Fusion. It embodies class and sophistication with its refined white exterior. Anti-lock brakes are standard on the Fusion. Icebox AC keeps this model cool all summer long. Lightweight alloy wheels on this unit are the perfect compliment to a stylish body. Bring all your music with you along for the ride in this model with its mp3 player aux input jack. See what's behind you with the backup camera on the Fusion. This 2014 Ford Fusion features cruise control for long trips. The Fusion is equipped with front airbags. With the keyless entry system on this Ford Fusion, you can pop the trunk without dropping your bags from the store. The leather seats are soft and supportive on this Ford Fusion. You'll never again be lost in a crowded city or a country region with the navigation system on it. A front power adjustable seat increases driver comfort. This mid-size car has convenient power windows. The state of the art park assist system will guide you easily into any spot. The satellite radio system in this Ford Fusion gives you access to hundreds of nationwide radio stations with a clear digital signal. This unit is built for driving comfort with a telescoping wheel. Keep yourself cool in the summer with the premium quality tinted windows. This mid-size car comes standard with a state of the art traction control system. This unit is a rare vehicle and is hard to find. You may think about choosing a private vendor in Spokane for your next used car deal. Private vendors, after all, tend to offer cheap prices on used sedans. However, at Arrotta's Automax & RV, we strive to offer comparable pricing to what you’d likely find from a private vendor. Plus, with our We Finance Anyone Program, we’ll offer competitive financing terms for drivers with little to no credit. In buying a used sedan from Arrotta's Automax & RV, you’ll drive home to Post Falls, ID with full knowledge that your car’s been inspected for quality. Don’t believe us? We offer a thirty-day money back guarantee! Ready to buy your next used sedan from us? Complete this easy-to-use contact us form. In the message box, mention your interest in buying a used sedan from our Spokane car lot.